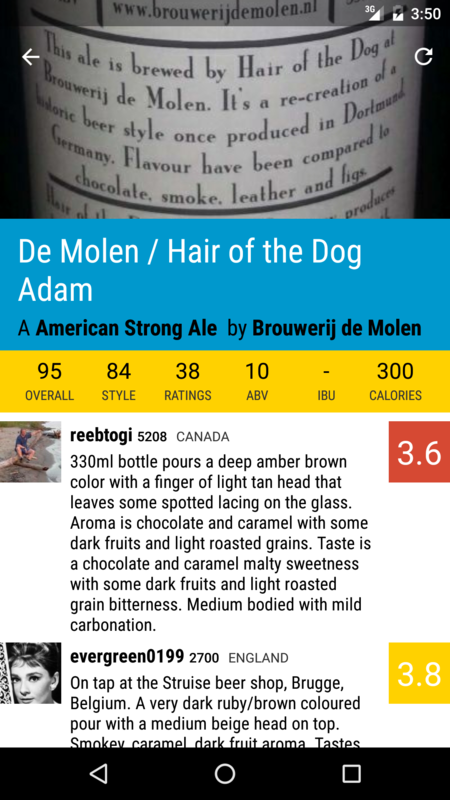 Android's premier app to the RateBeer website. 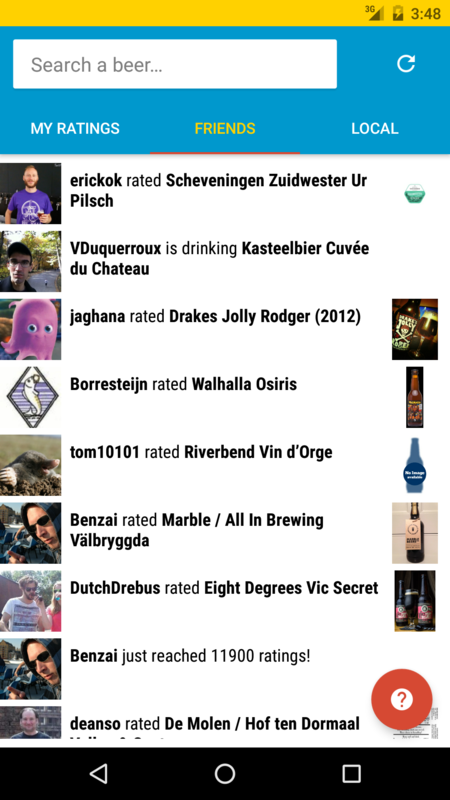 Swiftly search the huge caft beer database and have full offline access to your personal ratings. Open-sourced under a GPLv3 license and with more than 100.00 active user installs. Recently revived with a bright Material design and modern RxJava-based architecture. The most popular remote torrent client manager for Android. Manage the torrent running at home or on your seedbox. Strong Android platform integration includes global search, interoperability with other apps, a shared torrent site search library and home screen widgets. The app is released under the open-source GPLv3 license and has over 200.000 active users from the Play Store and directly from the community website. 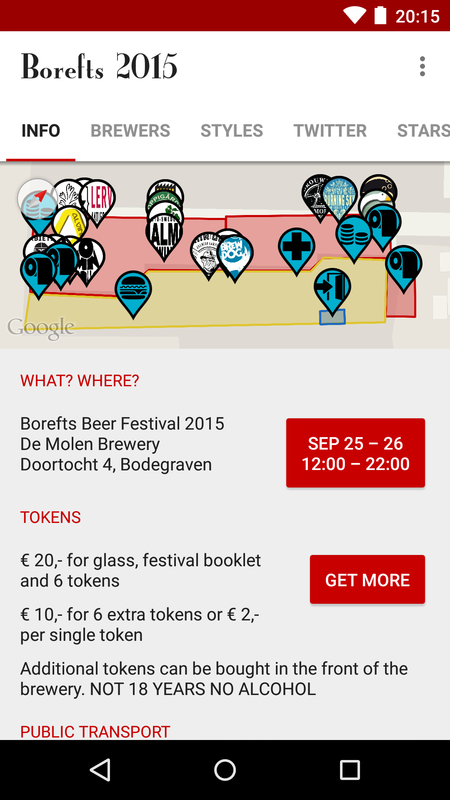 Official companion app to the Borefts beer festival, with since 2013 a yearly fresh version. 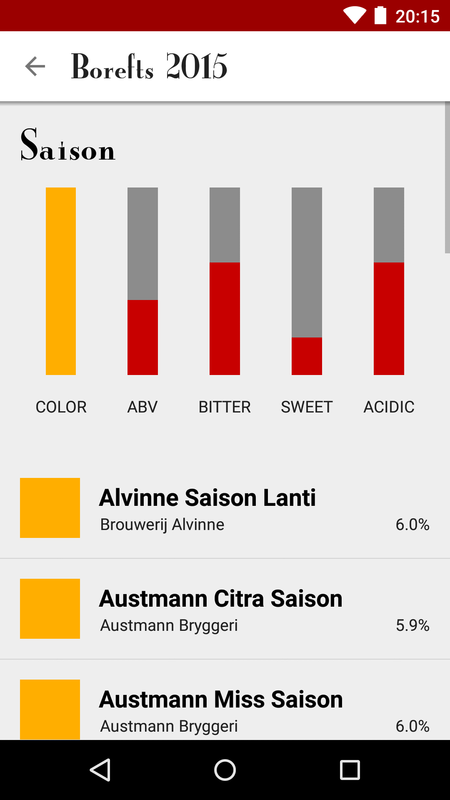 Includes general info, on- and offline lists of the participating brewers, styles and beers and lightweight user participating. RxCupboard brings the excellent Android Cupboard library into the world of RxJava. Using a small set of convenience Observables, you can fluently store and retrieve streams of POJOs from your database. Mimicry is a tiny Android library -- actually just one class -- to format items in a ListAdapter to display as a grid. Say goodbye to GridView and combine your other ListAdapters for a flexible grid-like style. Transdroid Torrent Search is an Android application that provides torrent search results to other Android apps by exposing ContentProviders. Originally part of Transdroid, it now supplies torrent links for 20+ public and private torrent sites to various torrent-related Android applications. 2312 development is the spare-time, open-source hobby of Eric Kok, who has worked on Android apps since 2009.